The Guardian website now features a short film I made about a health project in rural India called Jan Swasthya Sayhog (JSS). 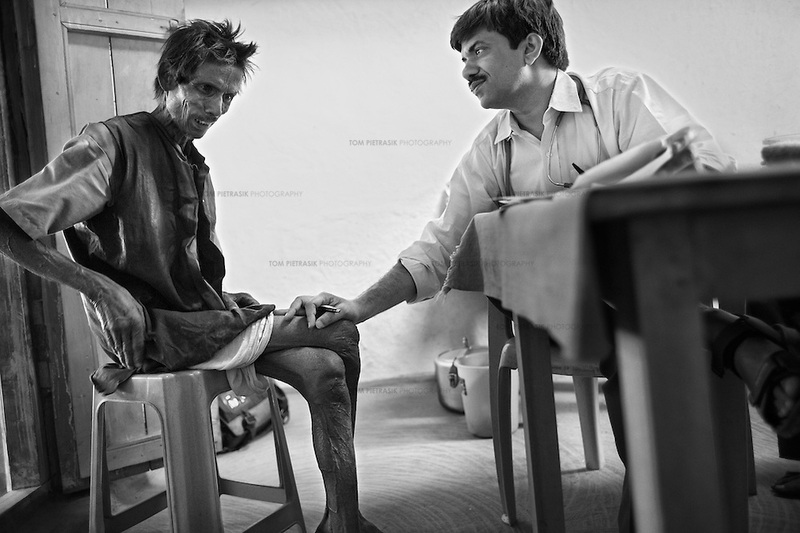 I have photographed the JSS several times before and always felt that their ceaseless commitment to the rural community they serve together with their understanding of healthcare in India would warrant the making of a film. 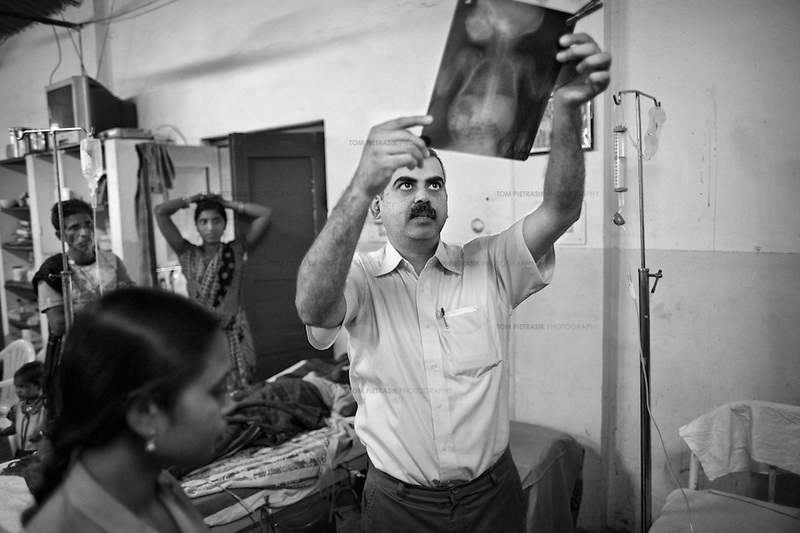 In producing this film, I also hope to provide some insight into the systemic deficiencies of healthcare in India. 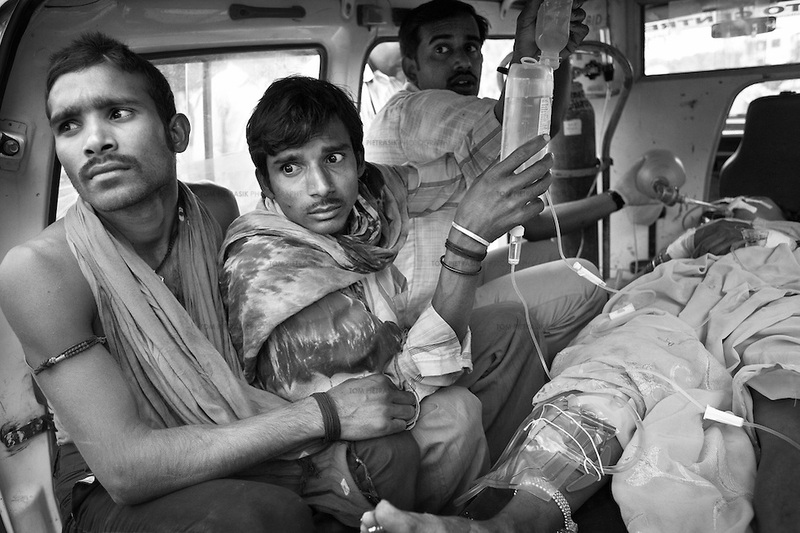 Any honest discussion on the subject of medical care in India must acknowledge the government’s failure to properly resource the public healthcare system. India’s Economy grew almost 50% between 2001-2006 yet in the same period the malnutrition rate for under 3’s dropped just a single percentage point to 46%. When they entered power in 2004, the Congress-Party-led government promised to increase public health spending from 1% of GDP to 2-3% of GDP by 2012. Today, public spending on health stands at just 1.2% of GDP (the global average is 6.5%) and the Indian government, still led by the Congress Party, appears to have abandoned any notion of universal healthcare. Without a properly-funded public healthcare system, those who have the resources to pay out of pocket or who are fortunate enough to possess health insurance, look to private hospitals for care. These hospitals in-turn attract the most able health professionals, drawing them away from and so further undermining the public system on which the majority of the population depend. 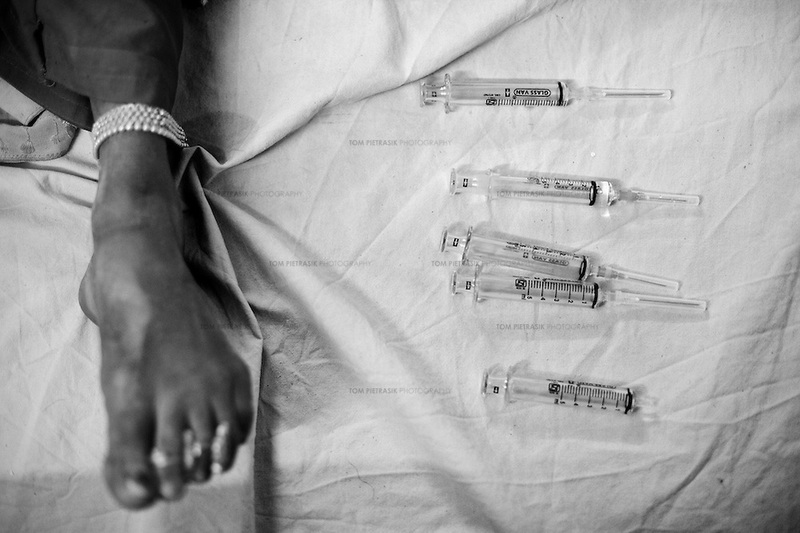 While working for UNICEF in October, this phenomenon was illustrated to me by a doctor whom I was photographing as he and his medical team responded to an outbreak of measles in eastern Bihar. He told me that the remote district in which he was posted was unable to attract the doctors required to run local government health services. The problem was so bad that 70% of positions were left unfilled. Doctors simply don’t want to be posted in a poor, far-off district that offers little opportunity to supplement a government wage with a private practice. The result is that the ordinary people in these areas must either forgo care or turn to unqualified quacks when they fall ill. The need is so great that the first-class service offered by a relatively small rural hospital like the JSS serves a catchment area comprising a population of almost 1 million people. Poverty, in all its manifestations, affects just about everyone who accesses the service provided by the JSS. When I visited the JSS hospital in Chhattisgarh in November, a young man, only recently married, was rushed to the emergency room with 40% burns. Like nine out of ten Indian workers, he was employed in what is called the un-organised sector where exploitation is routine and many workers undertake hazardous tasks with little or no regard to health and safety standards. On this occassion the young man had been casually employed to fix wires on top of an electricity pole even though he was not qualified to do so. While working, he received an electric shock and fell 8 meters unconscious to the ground. By the time he arrived at the JSS hospital, the doctors could detect widespread internal burning by the smell of the poor man’s body. He died the following day. 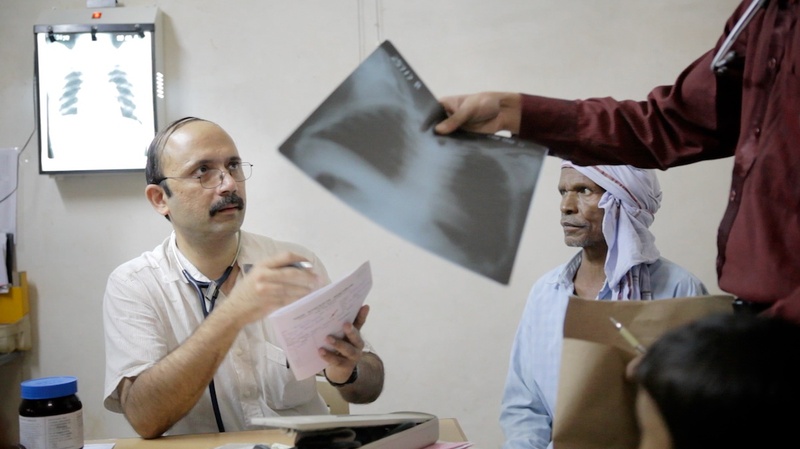 When the determinants of health, whether nutrition, clean water, adequate shelter or safe working conditions are compromised, it is surely even more incumbent on the Indian government to provide a properly resourced universal healthcare service. You can find out more about the JSS on their website and read more about my experiences photographing them and their work here. Just discovered your site and your work. Wonderful photography, and some thought-provoking topics.